Check out some of the great materials from this year’s conference. Sorry, all seats are filled and registration has been closed. 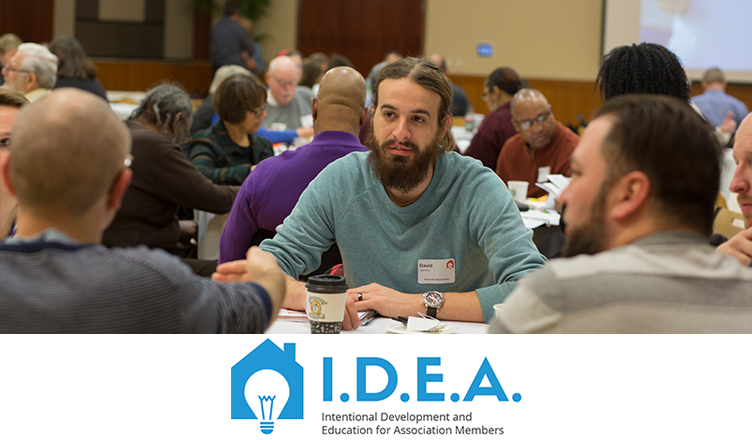 On March 5, 2016, 130 citizens attended the first Neighborhood I.D.E.A. Conference and it’s back for 2017! The second annual Neighborhood I.D.E.A. Conference is scheduled for March 4, 2017 on Ball State’s campus. 150 of Muncie’s most active local leaders will gather to listen, learn and meet like-minded individuals to share ideas and best practices. A door prize drawing will be held at the end of the day. Ball State University’s Building Better Neighborhoods, the Shafer Leadership Academy, the City of Muncie, the Vectren Foundation, Muncie Action Plan, Ball Brothers Foundations, and the Muncie Historic Preservation and Rehabilitation Commission. The conference will be held on the second floor of the L.A. Pittenger Student Center, which is located on Ball State’s campus. Free parking will be available in the parking garage immediately behind the Student Center. Ball State classes will not be in session, and you will not need a pass to park there. Contact Krista Flynn, BSU Office of Community Engagement at kflynn@bsu.edu.